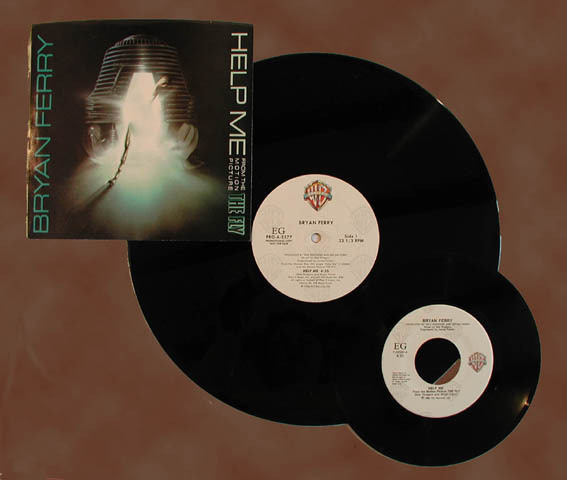 Lyrics to the song Help Me as recorded by Bryan Ferry. Sold my soul, is it never gonna pay? This song was written for the soundtrack to the film 'The Fly' (1986). It was released as a single in USA in 1986 and first appeared in UK on 'The Ultimate Collection' in 1988. there is a scene in the film when Brundle (Jeff Goldblum) comes into a bar and you can hear the song faintly on the juke box in the background. The USA 7" picture sleeve had a still from the film and contained Broken Wings as the b-side. There were also 7" & 12" promos with Help Me on both sides. An extended (full version) used as the soundtrack to the promo video was also released on the CD single for 'Dance With Life' in 1996. Nile Rogers talking about recording "Help Me" with Bryan. Chic based their look on Roxy Music after I saw them perform in London in 1976. Now I am lucky to say Bryan and I are unbelievably dear friends. I have bought every one of his albums except The Jazz Age — that’s my music, I would have done a better job! I love working with him because he gets into what I call the “Ferry groove”. You know you’ve got the right guitar sound when he puts his hand to the side of his head and almost meditates. He is literally lost in music. The Fly didn’t work for Bryan Ferry. favourites. I wish I could have written Bryan a hit.